The ThermoBlend Elite combines all the appliances you need into one unit, allowing you to weigh, chop and cook everything from sinful desserts to healthy family dinners with one appliance. 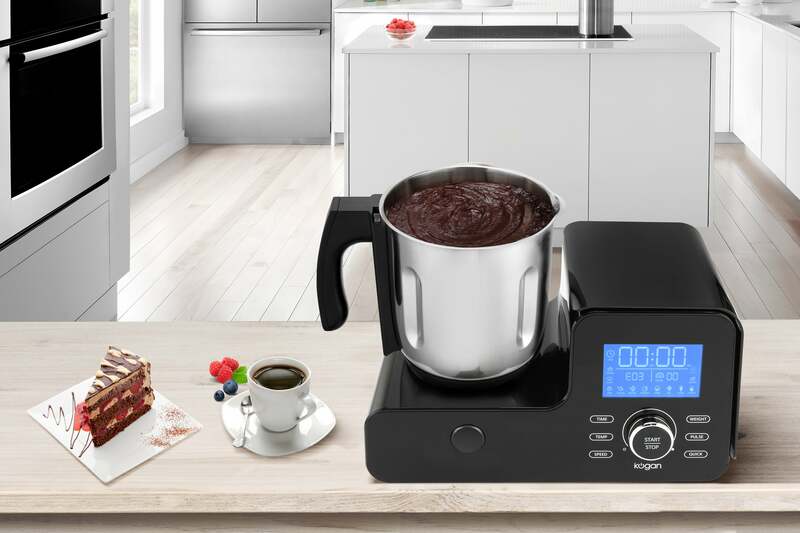 10 appliances in 1 – make soups, breads, juices, cakes, jams, sauces and more! 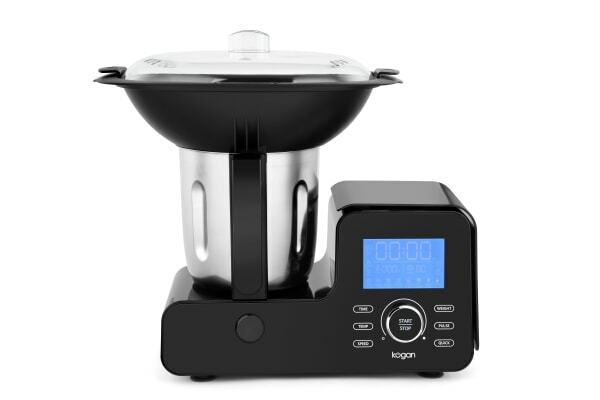 Space saving and cost effective, the Kogan ThermoBlend Elite All-in-One Food Processor & Cooker is the ultimate all-in-one kitchen appliance. Chop, mix, knead, blend, cook, steam, stir, saute, and stew your ingredients to perfection, for every meal. With ten incredibly useful functions, there’s no limit to what you can make with the Kogan Thermoblend Elite. Even culinary amateurs will be whipping up amazing soups, breads, casseroles, custards, cakes, jams, dips and more like a professional in no time! 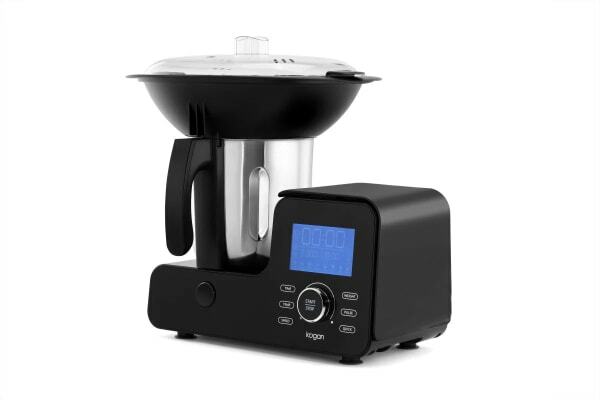 21 Functions include: Steam, Cook, Jam, Sauce, Saute, Dough, Cake, Ice Crush, Juice, Puree, Grind, Emulsify, Whip, Mix, Stir, Blend, Chop, Shred, Slice, Knead, Weigh. 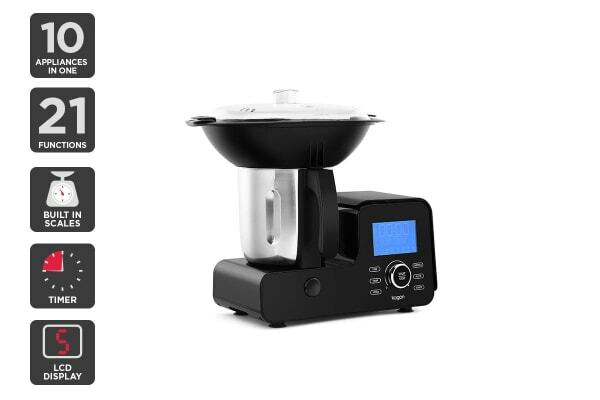 All the functions are easily controlled with simple, adjustable settings for speed and temperature, with a timer and scale built in for added convenience. After your culinary masterpiece has been eaten and enjoyed, cleanup is a breeze with the dishwasher-safe, stainless steel cooking bowl and easy-to-clean utensils – plus the steam tray, lids and measuring cup are all BPA-free! Prevent children from accidentally harming themselves with the child lock. Huge 5000W max RPM to blitz dry ingredients and create smoother soups and purees.